Whether you choose the Original Dream Pillow, the Lamby Dream Pillow or the Sharky Dream Pillow, the idea behind this creation and the intention is exactly the same: Creating positive imagery for children before they go to bed, by thinking about, visualising and writing down what they want to dream about in order to stop bad dreams from happening! By repeating this bedtime routine with your child every night over a period of time, not only will it promote positive thinking, but it also aids communication between parent and child within a safe and structured way. We are at that awkward stage with Arthur where most questions about what he is thinking and feeling are met with a reluctance to talk because he feels like he is being tested or interrogated ( he isn't, I promise!). By having this focused time together in the evening, he is much more willing to open up about things he wants to think about ... and perhaps things he doesn't...because of course, he is writing this note not for me, but for his Sharky Dream Pillow! My children have never been great sleepers - Arthur especially! He gets very anxious at night time and both children end up in our room before the night is through. We had noticed an increase in nightmares lately - imagined monsters called 'scampers' he thought were coming into his room to get him, insects trying to eat him and...(wait for it)...sharks trying to bite him. I KNOW. You're probably wondering why on earth we got him the shark pillow?? Well first of all, he saw it, fell in love with it and decided this was the Dream Pillow for him. Secondly, let's turn his idea of a shark from something which bites you in your sleep, to something soft, huggable and friendly who helps you have good dreams! It seems to be working. We've been using the pillows for a couple of weeks now and there has been a BIG improvement on the dream front. 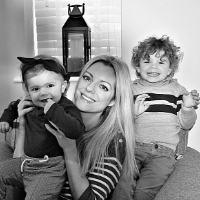 Both Arthur and Charlotte love to snuggle up with their Dream Pillows at bedtime, and I do think that the characters really help to increase that special bond too! Charlotte usually has a little snuggly soft blanket with a tiny lamb attached, so the Lamby Dream Pillow was the perfect choice for her and she was OVERJOYED to have something new to cuddle along with Arthur. As an EYFS Teacher it would be impossible for me not to mention the other added benefit of this Dream Pillow routine which is: MARK MAKING!!! Yes, Arthur now wants to write his own dream note every night. You can see in one of the images above, he used his phonics knowledge to write "DADY", "MUMY", "PAUL VIZiT" - This is because he wanted to dream about being Daddy, dream about being Mummy and then dream about his Uncle Paul coming to visit one day. Charlotte has also been insisting on writing her own notes too - she loves to hold the pen and make marks on the notelets and put it inside her pillow. Of course, she is too young to fully grasp the concept of the Dream Pillow, but she loves to be involved and copy her big brother! The word 'pillow' is slightly misleading as these don't have to be used as a traditional pillow, children can also put their hands inside and hug them like a soft toy. 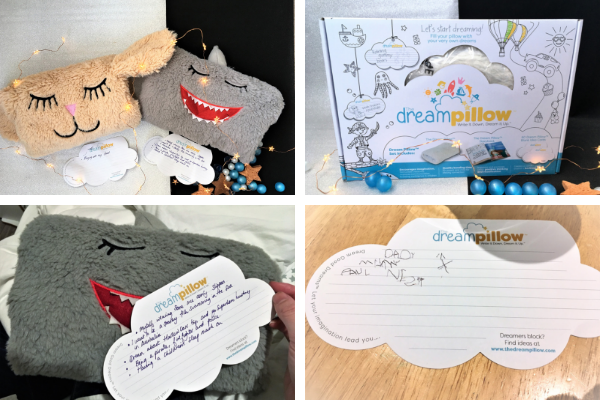 The Original Dream Pillow is not a character, but it is made of the same super soft material and also comes with a book which you can read with your child to help aid ideas and discussions around good and bad dreams! 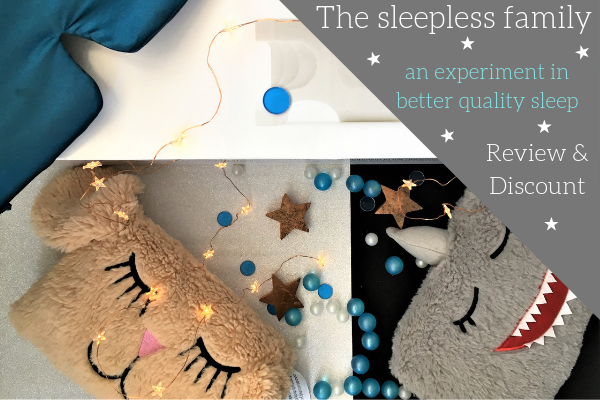 - You can enter the competition below to win one yourself, or, if you would prefer the Lamby or Sharky pillow - head straight over to Etsy for a 20% discount using the code above. I have been searching for a long time for a sleep mask that is cut high enough over the nose to not aggravate me when I sleep. I don't know what it is, but I have a real aversion to anything touching the top of my actual nose when I am trying to sleep, so this is perfect! The material is a silky, soft satin material, with lots of padding to block out the light and the sound. It comes with ear plugs (if you so wish) and the adjustable velcro strap means it works for even tiny heads like Arthur...that's right, night 1 and my Sleep Master sleep mask was used by my 4 year old! When I can manage to wrestle this out of his hands, it works a treat at blocking out the light - especially now that the mornings and evenings are getting lighter! 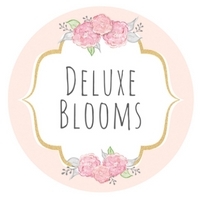 This is also a favourite of celebs like Emma Watson, of Harry Potter fame! Incidentally, there are certain friends who used to call me Hermione, so I do feel this product and I were really meant to be! The JuveRest Sleep Wrinkle Pillow aims to reduce facial distortion by 1700% What does this mean?? Basically, it stops your face and skin getting squished and compressed against your pillow when you sleep, which can cause wrinkles. The contours of the foam pillow are there to help support your neck and head, both lying on your back and on your side. This could also be helpful for those with sensitive skin or those who are prone to break outs due to the lack of contact with the pillow. As someone who suffers from painful shoulders, neck and head - I was really keen to see whether this pillow had any additional benefits here - it is supposed to promote correct neck and back alignment with the support it offers. The pillow does come with its own cover, but it is recommended that you put your own pillow case over the top too. I use a pure silk pillowcase like this one here as it is much better for my skin and hair and I wanted to increase the anti-wrinkle benefits! 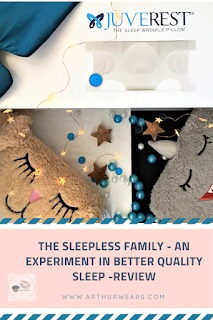 I found this pillow incredibly comfortable and supportive when sleeping on my back - my neck felt really supported and I wasn't having a constant battle trying to plump up my pillow in the middle of the night after it had gone flat! I usually sleep in a position which can only be described as 'half on my back, half on my side' as a sort of 45 degree angle! The pillow helped to keep me supported whilst I slept, and I did notice a distinct reduction in facial contact with the pillow compared to usual. As I am still breastfeeding, I do have to sleep/lie on my side throughout the night when co-sleeping with Charlotte. I had started to notice that I was waking up with lines on my face, and cheeks where my face was squished up in the night. Since using the JuveRest pillow I haven't had this issue. 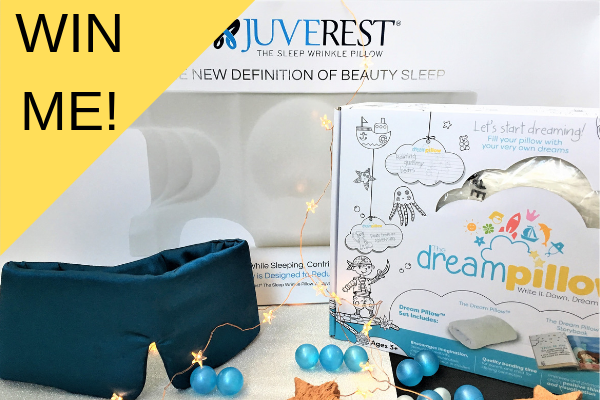 Competition to win an Original Dream Pillow, Sleep Master sleep mask and JuveRest sleep wrinkle pillow worth over £200! I would like to win these products for my little nephew. The Original Dream Pillow excites me the most. I just adore the Lamby Dream Pillow! My daughter would love it! 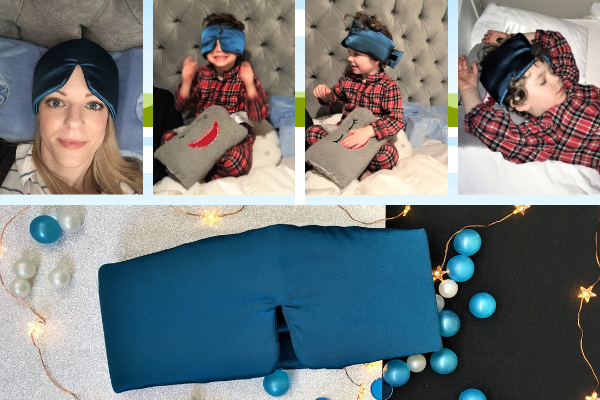 I would love to win the dream pillow for my granddaughter, and the eye mask for me! 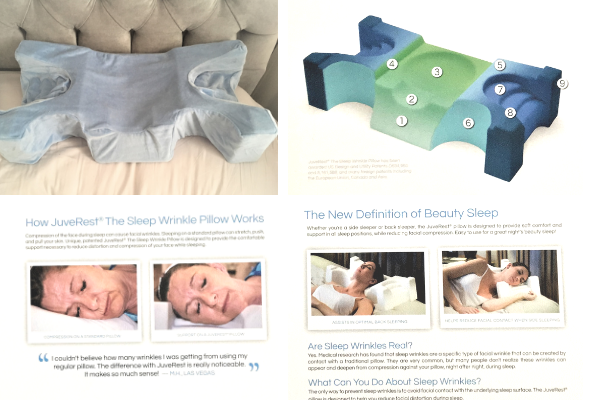 I like the idea of the sleep wrinkle pillow - for me! The pillow looks amazing. I would keep it for myself as an insomniac. I'd love that sleep wrinkle pillow for myself!! 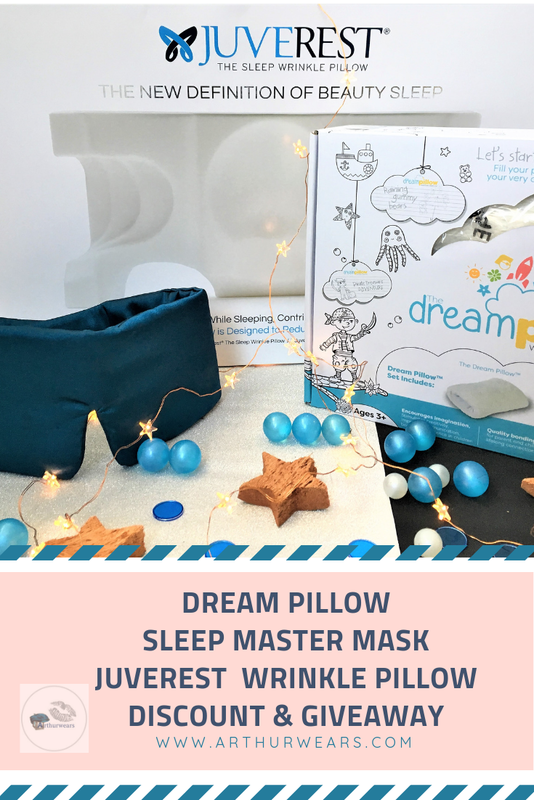 I'd love the dream pillow for one of my little boys and I'd have to keep the eye mask and wrinkle pillow all for myself - with 2 small toddlers and a lack of sleep I need all the help I can get! Lamby dream pillow looks great! I would like to win for my grandaughter and the Lamby Dream Pillow excites me most. I'd love to try the JuveRest The Sleep Wrinkle Pillow with cover - my skin needs all the help it can get! I would love this as a migraine sufferer I am always looking for better pillows for posture and therefore better sleep.